It’s a strange and interesting day. No major aspects to ooh and aah about. seemingly. The Moon is still in Aries and Void-of-Course until tomorrow at 2:09 PM EDT when it enters Taurus, and Mercury’s still retrograde until Friday, you’d think that would make things a little dull. However, I’ve been feeling a huge “power” issue building up all day, spring-wound and ready to explode. Let’s take a closer look. Today features a Moon/Pluto square at 3:02 AM EDT, and then a Sun/Pluto quintile (one of those so-called “minor” aspects) at 2:48 PM EDT. Both “lights” today, the Sun and Moon, are thus entangled with Pluto, which makes for a big ol’ swoosh of intensity. Quintiles are generally thought to indicate talents, creativity and abilities which come naturally to you. The aspect also carries the whiff of obsession and compulsion, which means there’s a tendency to “go overboard” in the areas signified. This is a double whammy, as obsessive/compulsive and repetitive disorders are often Plutonian in nature. Given that the Moon/Pluto square that starts the day indicates that we may be picking at our emotional scabs, the Sun/Pluto quintile that follows can show that we’re trying to heal very deep wounds that have scarred us to the very core. It’s a life-and-death struggle and the stakes are high. No wonder some people are freaking out under the pressure! It’s a lot to deal with. If you can stand the strain, though, the Sun/Pluto quintile is also all about a talent for hunting things down, intensive or probing research abilities, a magnetic or charismatic nature, and the ability to get to the heart of any and all matters. This combination is like a huge solar flare and like solar flares, it can disrupt daily life through its very intensity. And of course, today a new Pope was elected. I noted in yesterday’s Daily Astro that the next Pope may well be younger and a fire sign. Jorge Mario Bergoglio is a Sagittarius, it turns out, born December 17, 1936. So yes, he’s a fire sign. And no, he’s not young, but then again, given the age of some of the other Popes (he’s about ten years younger than the last Pope), he’s a relative spring chicken! So today, on a day with a Void-of-Course Moon, Mercury retrograde and not many traditional major aspects but featuring that Sun/Pluto quintile, they’ve selected a new pope. It will be interesting to see how this plays out. I was wondering, given today’s aspects, if the new Pope had a Sun/Pluto aspect, and indeed he does. His Sun is in Sagittarius in an inconjunct aspect to Pluto in Cancer. Well, he’s the “big boss” now. And it certainly looks like issues related to power and control will be a theme of his tenure. It’ll no doubt be a difficult balancing act and he will probably have to “clean house” and deal with everything that’s been shoved into the basement, including all manner of secrets, more sexual abuse revelations, and miscellaneous scandals that will no doubt surface. The Keyword for the Sabian Symbol is: “CULTIVATION”. Wow, put today’s Symbols together and you have King Kong! The island, of course, brings to mind “no man is an island”. If you live on an island you’re cut off from other lands or the mainland, more or less, and either you become self-sufficient or learn to do without or import whatever you need. The Sabian Symbol is very much DIY–if you don’t do it yourself, it won’t get done! Especially if it’s a small island! Organizational skills are important and creativity is emphasized. How can things be used/re-used/re-imagined? As a general feel for the day, it can mean we feel we’re on our own today. We have to be our own Transformer, shifting from one shape to another. This is all very much in line with the Sun/Pluto and Moon/Pluto energy of the day. The down side here is that we may refuse help from others or may isolate or cut ourselves off from others. We may need to take other people’s input into consideration. There’s no where to run on and island, so we can’t completely ignore the rest of the inhabitants. 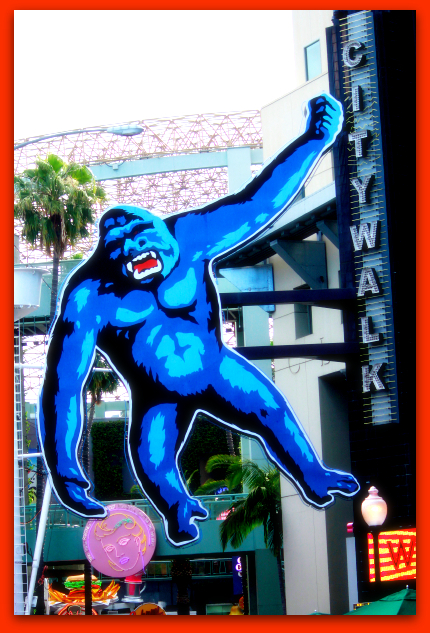 The Kozminsky Symbol features a King Kong-ish ape dragging a woman into the forest (no skyscrapers were available, I guess). This one’s pretty obvious–don’t go bestial and become a slave to each and every urge. Kozminsky says that to do so is to “sacrifice his higher self to the exhausting excesses which eat into body and soul.” It’s lust instead of love, untrammeled, possessive, desire, and indicates a “fall from grace”. The Sun/Pluto quintile is relevant here in the emphasis on obsessiveness and the relation to brute force and power. Sun/Pluto aspects are about finding a way to use that power as fuel for transformation, rather than being obliterated. Pluto was discovered as we entered the nuclear era, after all! Here’s skillful manipulation, or someone using their talents to obfuscate and deceive. This is the negative side of today’s Moon/Pluto and Sun/Pluto aspects. There are secrets here, and they’ll remain hidden. It’s the whole Machiavellian ball of wax, related to power and control through communication and “card tricks” that distract us. It also tells us that right now it’s best to use discretion and not give away too much. A good strategic plan is needed. This can also indicate the diplomat or someone who can’t quite reveal the whole story. With this combination, if you feel like someone is messing with your head, they probably are! Pay attention to details, the small print, those hidden clauses. What’s not said is as important as what is said. Use that Pluto energy to clean out the cobwebs and investigate the dark corners of your mind–evict the creepy little imp that’s been squatting there. Walking-the-tightrope skills are indicated here. Stay away from the dark side and this could be a powerhouse combo, showing the walker between worlds, the guide through the darkness.